The Desex in the City sequel receives five stars! Back by popular demand, Desex in the City – our discounted cat desexing marathon at The Frank Samways Veterinary Clinic – saw cat owners travel from near and far to desex their much loved cats. Last Thursday our team of 15 vet clinic staff and the Home’s volunteers, helped to desex 46 cats — 80 per cent of which were female. “Our team worked tirelessly into the night, but seeing the results and knowing the knock on effect desexing has not only to the individual wellbeing of a pet, but also our community makes it all worth the while,” said senior veterinarian Dr Alan Bolton. The offer, exclusively to pension and health care card holders saw the desexing fee heavily reduced to a flat fee of $45, including free microchipping normally valued at $35. “Offering the discount to members of our community who need it the most is really important to us,” Dr Bolton said. “Many of the owners we met on the night said the price was one of the main reasons why they chose to Desex in the City, followed by maintaining the health of their cat. “ We also found many cat owners were tired of trying to rehome kittens their cats had given birth to,” he added. 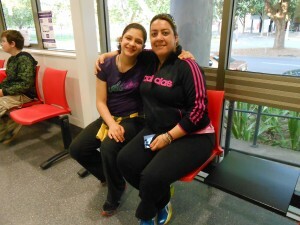 Dora (pictured left), caught a bus and two trains from Lalor – a suburb north of Melbourne – with her daughter Marianna, aged 12 and her three female cats. 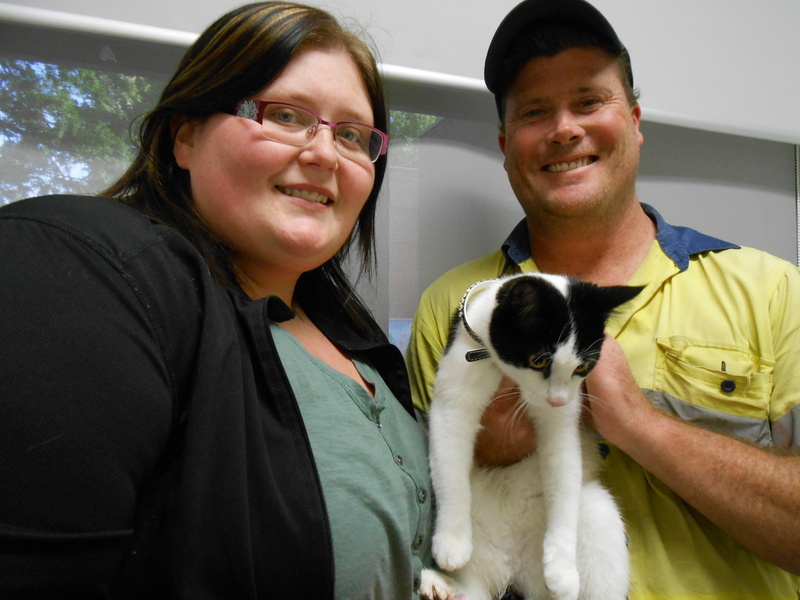 Tiana (pictured right) who travelled to the clinic from Melton, said desexing her cat Yoda was about exercising responsible pet ownership. 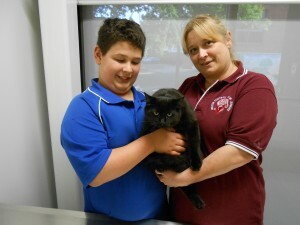 Second time lucky was Nicki and Adam (pictured below) who were keen on having Lucy, their six-month-old kitten desexed. “We unfortunately missed on the first round offer in September, but when we saw the sequel posted on the Home’s page, I was right on the phone again!” Nicki said. Confessing his new found love for cats upon meeting Lucy, Adam had plenty to say about the merits of owning a cat and praised the initiative. Keep an eye out on our website and Facebook page for the next Desex in the City event! Desex in the City has desexed a total of 140 male and female cats to date and microchipped those not previously identified with a chip. Most cats desexed were aged three years and under. Most cats became pets via a family member, friend or neighbour. With temperatures beginning to rise as we head into the summer months, so too will your cat’s urge to find a mate, and a one-night-stand that could lead to dozens of unexpected relatives by Christmas. Desex in the City is a desexing drive offered by The Lost Dogs’ Home and Frank Samways Clinic aimed at reducing unwanted cats by reducing over-breeding among urban cats. Servicing the public and councils across Metropolitan Melbourne, the Home’s North Melbourne and Cranbourne shelters received close to 11,000 abandoned, surrendered and lost cats and kittens in 2012/13, most of which were not desexed. Desexed cats lead healthier and longer lives, while an undesexed cat is more likely to roam and be exposed to dangers including being hit by a car, getting into fights, infectious diseases and contracting Feline Immunodeficiency Virus (FIV).